I had a long week (lawyer stuff) that left me dreaming about a vacation. My last vacation to be exact. 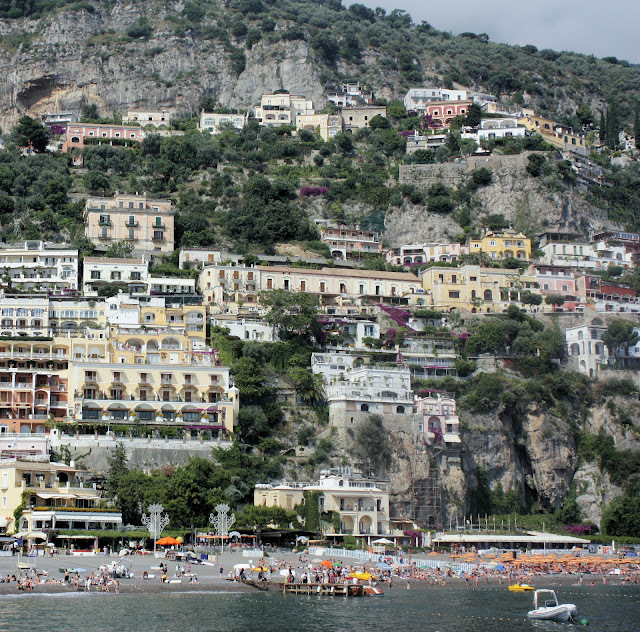 In addition to Rome, we went to the Amalfi coast, where I sipped Americanos, swam in the Mediterranean, and tore through trashy novels. Since lounging beneath one of these orange umbrellas for all of eternity isn't really an option at the moment, I'm going to use these photos as inspiration and try to bring some vacation-like-touches to my working weekend. Oh! This photo made me long for travel. What great memories you have. Is the photo of long twisty striped ribbons, pasta?! How fun! I am happily following you now. I am enjoying your blog. Thanks so much! The long twisty ribbons are pasta--it was the most gorgeous pasta I've ever seen. I would have brought loads of it home but I was afraid it was going to get destroyed in transit. i have, sadly, never been to italy, but this is the region i've always most want to visit. looks beautiful!